Do you know that your hormonal levels of estrogen and progesterone change abruptly post-delivery? During pregnancy hormonal levels remain at the peak. Note that after birth the level gradually reaches an optimum level. There are various ways with the help of which you can restore the hormonal balance. 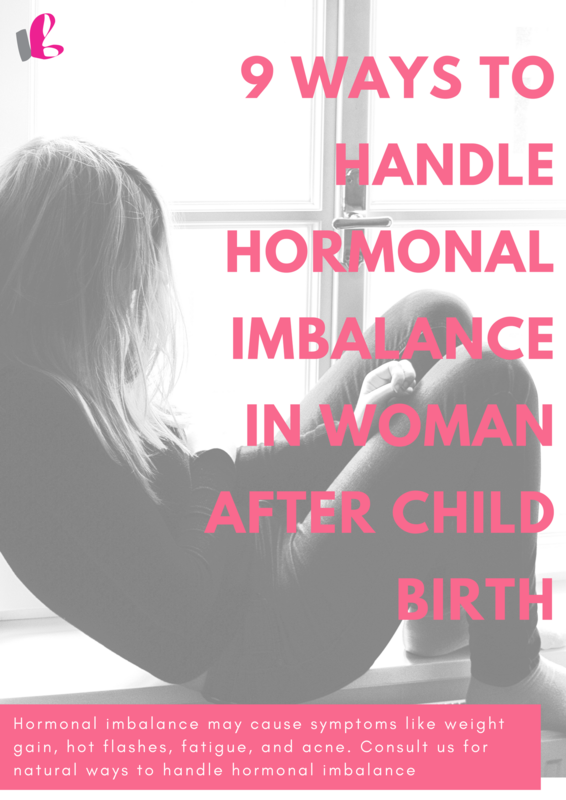 Here are some of the easy and useful tips to restore female hormonal balance which if followed religiously will help in restoring your health from hormonal disable with much ease. Exercise: Walking and some light exercises are excellent in restoring the hormonal balance. However you should not try heavy cardiac exercises during this time. After delivery some of the best exercises to practice are kettle bells, light-weight lifting etc. Avoid White Food: White food intakes should be avoided including pasta, bread, milk etc. to restore hormonal imbalance. Control Caffeine Intake: Controlling the urge of caffeine intake promotes cortisol limit and hampers the activities of thyroid glands. Increase Intake of Unsaturated Oil: Unsaturated oil and quality cholesterols such as avocados and coconut oil helps in retaining hormonal balance. Less Stress: Less stress helps in promoting cortisol levels thus keeping your body calm and healthy. Fiber Rich Food: This food intake helps in binding old estrogen so that the body has the space to hold other hormones in the blood stream. Such food also helps in eliminating unwanted toxins. Consult a specialist: Take advises and help from experts. They advise on lifestyle and emotions management. Ms. Vidhi offers her ideas and expertise on how to balance the hormones that influence everything from our moods to health.